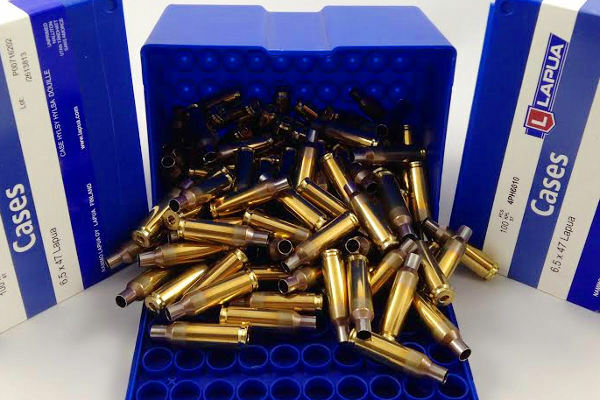 Lapua, the Finnish maker of premium cartridge brass, bullets, and ammunition, has created a new Lapua Club for Lapua’s customers and product users. By signing up for the Lapua Club, you can get access to “members-only” data. In addition, by registering multiple products, you can get rewards such as Lapua hats and holsters. For each product registered you’ll also get a chance to win instant prizes or a Grand Prize Whitetail Hunt. Join the Lapua Club by scanning the QR code on your 2015 Lapua ammunition box, Lapua cartridge case box, or Lapua bullet package. Use your mobile phone to read the QR code on your Lapua package(s), or go to http://www.club.lapua.com/en/campaign/lapua-club/ and directly type in the code. (NOTE: Packages that do not have a QR code may have a card in the box with the QR code.) By registering your package(s) you become entitled to exclusive Lapua Club member benefits. By registering 5 products or more you can qualify for a Lapua Cap. By registering 10 products or more you can qualify for a Lapua Holster. Register your Lapua Products by entering the QR code on Lapua product packages. 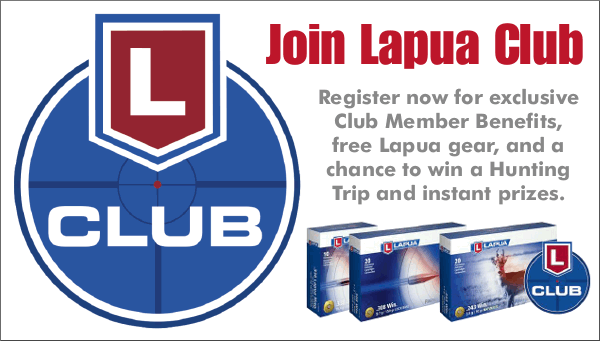 Share the post "Lapua Launches Lapua Club for Customers"